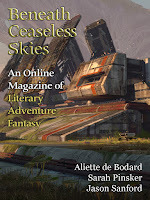 "The Mountains His Crown," by Sarah Pinsker [bio] (edited by Scott H. Andrews), appeared in Beneath Ceaseless Skies issue 195, published on March 17, 2016. Pro: History does tell of tyrants who ruined their countries with their irrational demands. One cannot really claim the story is unbelievable. .
Con: The story is inconclusive. The narrator has a hope that the emperor listened to her plus a vague plan to shame him with red plants, but that's not very satisfying. It's as though this story is the set up for a longer one. The ending worked for me. 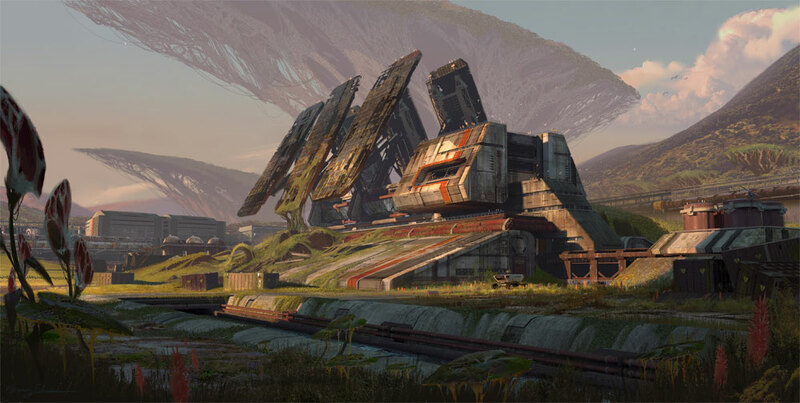 Either the Emperor will decide to let the land go back to normal, and it won't matter when the mountains turn red. Or he'll insist on keeping his portrait, and he'll get a red tomato thrown at his head again. Either he'll take heed of Kae's advice now, or the land will show him the futility of the project later.